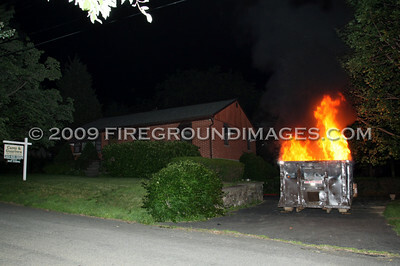 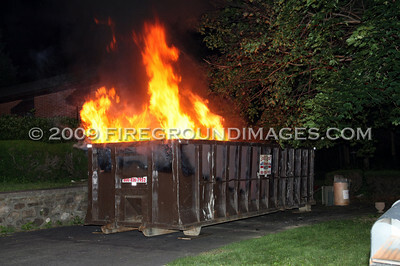 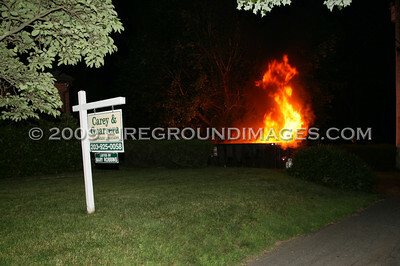 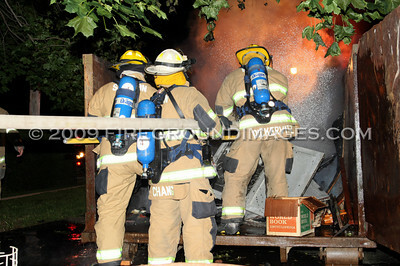 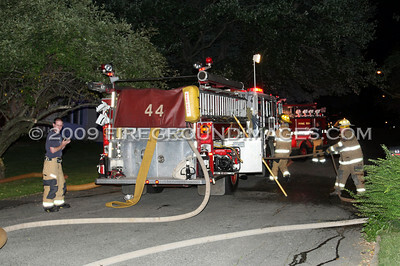 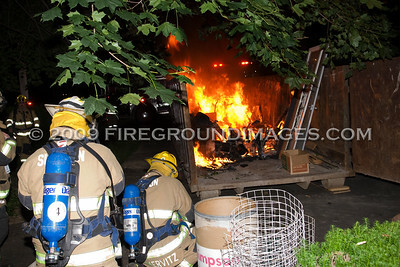 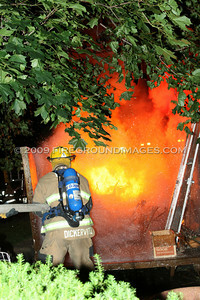 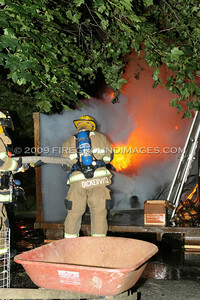 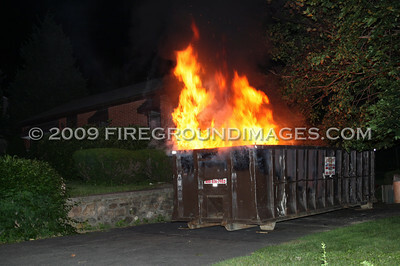 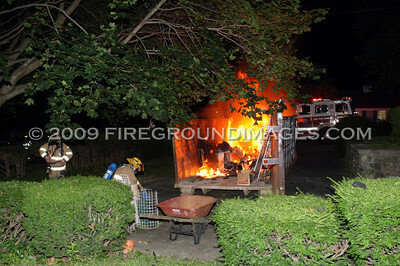 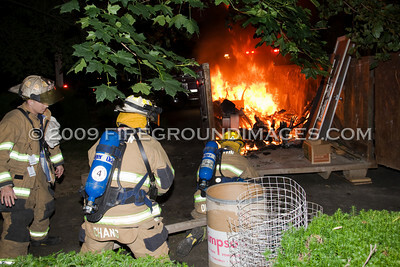 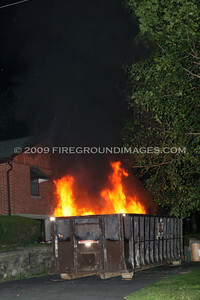 SHELTON, CT - At approximately 11:30pm on July 4, 2009, the Shelton Fire Department was dispatched to 53 Newport Avenue for a dumpster fire. 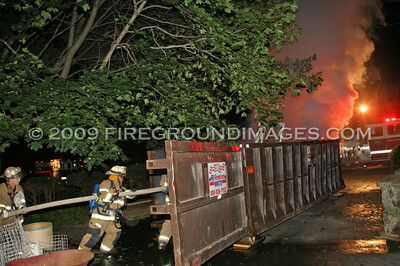 Neighbors had called in a heavily involved dumpster with several explosions coming from inside. 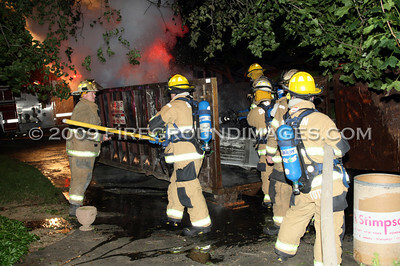 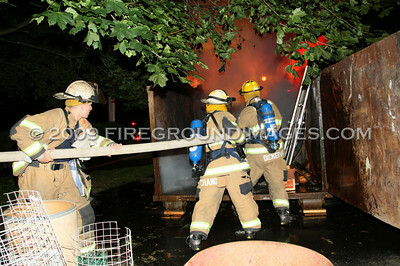 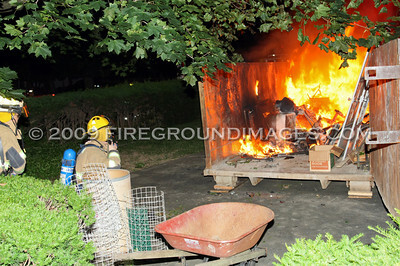 Members from Pine Rock Company #4 arrived shortly thereafter and extinguished the dumpster with no extension.